PASSENGERS on the 5.11 V/Line service from Melbourne had a ride to remember last week when one carriage of the Sprinter set began filling with smoke. Commuter, Josh Laker, who was a passenger on the train called 000 to alert the driver and conductor of an emergency situation. Mr Laker spoke with 000 before Pascoe Vale station and later expressed concern that the train passed through at least two more stations where could have safely disembarked before arriving at Broadmeadows. “If the issue were flames, a health scare, or even the carriage had filled with smoke quickly – then this could have been much, much worse,” Mr Laker posted on the Seymour Train Action Group (STAG) Facebook page. “Once we were at Broadmeadows, first aid could have been offered as there were a small few clearly struggling. I personally have Asthma and a quick squirt of my inhaler put me right. Can’t speak for others,” Mr Laker added. The train was taken out of service at Broadmeadows and passengers were told to wait for the next service and it was later revealed that the cause of the incident was a failure with the air-conditioning transformer. A spokesperson for V/Line has advised that the company will ‘take on board’ the feedback regarding the handling of the incident at Broadmeadows regarding referrals to first aid. “Broadmeadows is a staffed Metro station so there would have been opportunity to for assistance if required, however we will look to improve that in future,” the spokesperson said. Metro trains have an emergency intercom, and other V/Line services have as well. However Sprinter services do not and there does not look to be a solution anytime soon. 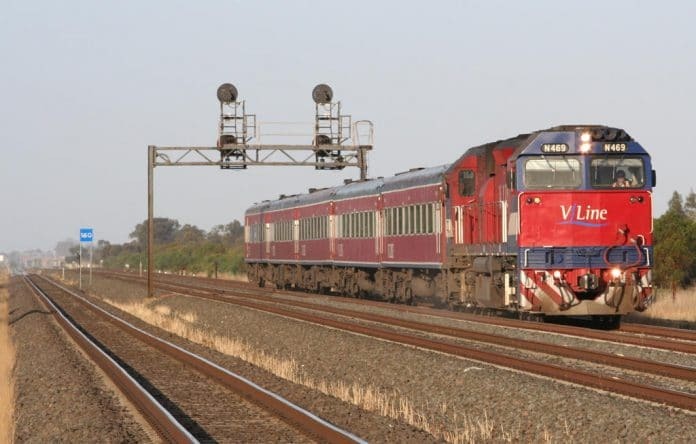 V/Line has advised that the company is currently in the process of updating its on-board train signage to make it clearer what the emergency process is. This is the second time a Sprinter has caught fire in the district. In December 2016, a Sprinter caught fire at Seymour station.